Buying a home represents the most significant financial decision most people will ever make during their lifetime. From a person’s first home to their last, there are definite things to avoid and steps that you can take to make your home purchase stress-free. Here are a few common mistakes that buyers make. One of the first mistakes people make is not getting pre-approved or pre-qualified by a bank or lending institution. Sellers and their agents are often skeptical of a prospective buyer’s ability to obtain a mortgage loan when the buyer has not been pre-qualified. When choosing between two comparable offers, or when contemplating countering a buyer’s offer, a seller will always look more favorably upon the pre-qualified buyer. As well, lenders will take a look at your credit score, any debts that you might have, how long you have been at your job, amount of your down payment, what you earn, and other factors to determine how much they will lend you. An “online mortgage calculator” will only provide you with a rough idea of what you might qualify to purchase. Some buyers may not share pertinent information with their professional – whether it be their lawyer, mortgage lender or Realtor. Often times, they may feel that it is not important, are fearful of how they will be perceived, or simply think that it isn’t important enough to mention. These professionals are looking after your best interests and they cannot help you unless they know what is going on for you. If you are having “cold feet” or other concerns, speak with them as they can give you some professional guidance and allow you to determine if this purchase is right for you, and help you to get your deposit money before it is too late. Take your time! It happens all too frequently that people rush into signing a contract to purchase a particular home and then for any number of reasons, regret their hasty decision. Remember, if you enter into a contract to buy a home, your chances of rescinding that contract are very slim. It doesn’t help that you’ve found another home you prefer, when you’re under contract to make a purchase you’re expected to follow through and buy it. In addition to finding a home they like better than the one they’ve contracted to buy, another reason people try to cancel a contract is that they realize too late that they’ve over-purchased. Being “house poor” is the pits. Putting the bulk of your earnings into your mortgage payment obviously detracts from your quality of life. The potential buyer should be aware that there are many types of mortgages being offered by lenders; therefore, they should explore all of their options before “locking in.” Whether it be a variable rate mortgage or a 5 year fixed rate, all other options should be explored as well before deciding one mortgage option is best for your needs. When you are renting a home, you are simply expected to pay your rent and perhaps your utilities and cable bill. However, when you become a home owner, paying your mortgage is only one of the costs that you will be responsible for. If you are purchasing a strata property, you will have to pay strata fees that can be several hundreds of dollars each month. As well, you will be responsible for property taxes that are paid to the City which are usually several thousands of dollars each year. Another item that lenders will require if you purchase a home is home insurance which is usually between $500-$1000 per year. It is important to factor into your budget these costs to ensure that you can afford the home. Homes require regularly maintenance (and occasionally expensive repairs such as a new roof or oil tank), so be sure to set aside some extra money for those “rainy days”. Failing to require a comprehensive home inspection, or relying on the knowledge of a friend, is a common mistake buyers make. The relatively minor expense of the full inspection is definitely cost-effective. The inspection should include a review of electrical system, condition of the roof, plumbing, heating and air conditioning, septic system, water quality, etc. etc. etc. This is a very important process that can save untold heartache in the future. When selecting a home, don’t forget that your quality of life in that home extends into the surrounding community. Your new home can be a showplace, but if it’s surrounded by run down properties or backing onto a busy highway, you may not be happy. Sometimes it’s hard to look into the future, but when buying a home it’s good to think about resale value. Not that this should be the final consideration, but when touring your prospective new home you should look for things that would be a deterrent to another buyer. Before signing the contract or prior to removing the subjects, you should be aware of any restrictions imposed by the City, strata complex, or registered against the title. Such restrictions can include: fencing guidelines, parking restrictions (no RV’s in the driveway), no boats in the yard, landscaping requirements, and even certain occupancy restrictions. Blindly buying into a heavily restricted community is a very common mistake. As well, if the City has placed a covenant on the property (built without the proper permits, previous grow op, etc), it will be very difficult to obtain a mortgage on the property even with excellent credit and a healthy down payment. Sometimes buyers have specific requirements for their dream home and are not able to see past the wall color or dreadful wallpaper in the bathroom. These are inexpensive fixes that allow you to personalize a home and add value to it. As well, sometimes buyers wait too long for that “perfect” home to present itself. While waiting, people pass up excellent homes that are good bargains and would fulfill a majority of their demands. 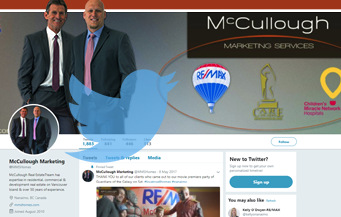 Employing the services of a professional realtor like Brian or Myles McCullough makes great sense, since navigating through the home purchase process is both complex and fraught with financial dangers. Your agent will be inclined to do a “comparative market analysis”, which will establish property values and selling prices of homes in the area of your targeted purchase. This will help to protect you from paying too much for a home or entering into a contract that won’t allow you to do all of the necessary inspections and research on the home. The buying errors mentioned here are just a few of the things to avoid when buying a property. Buying a home should be done systematically and carefully. As always, if you ever have any questions or concerns about your real estate purchase, Brian & Myles will be there for you throughout the entire buying process.